This place was awesome! The owner met me at the door with a bottle of water and a map of Rome. The room was clean and thr bed was super comfortable. You’re crazy not to stay here if you’re visiting Rome! It’s one block away from the coliseum and the price was incredibly inexpensive. Downtown Accomodations was a fantastic choice for us. Safe location, close to everything including the metro which we took to the Vatican. We walked everywhere else Clean, spacious, quiet, and excellent breakfast. Great value. We would recommend this to anyone looking for great value for your dollar. Location is PERFECT! 5 mins walk to Colosseo and palatine Hill. Close to shops and restaurants. The owner was so friendly and helpful. Clean,quite and comfortable. Excellent customer service. The place was fantastic! The host was so nice, the room was really cozy and we got a delicious coffee in the morning! Also its just around the corner from Colosseum. It made my stay in Rome really enjoyble! Really good value for money! Hotel is in very good location and staff is very friendly and informative. Lorenzo (owner) is brilliant! Very friendly and helpful and accommodating. 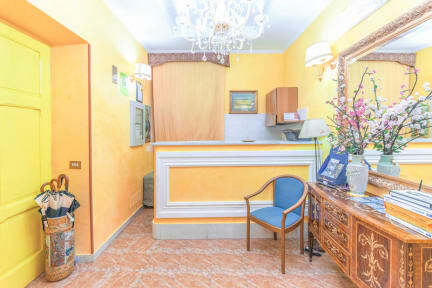 Perfect location, walking distance from all main attractions of Rome. Colosseum about 5 min walk away. Breakfast room service included and exceeded expectations (croissants, yoghurts, coffee, juice) Small bathroom but very clean and powerful shower. All in all, we had an excellent experience and we will definitely stay again if we return to Rome! Good for couples or group of friends. It looks like a hotel, with breakfast in bedroom and there's no comum área, so maybe it is not a good idea if your intention is to know new people. 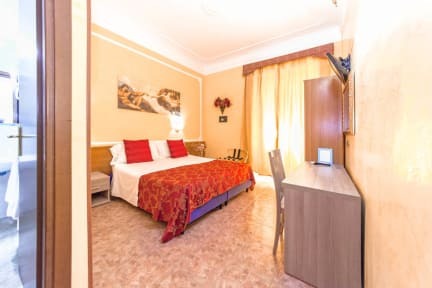 If you look for a quiet and clean place to rest after a full day of activities in Rome, with a perfect location (really close to many touristic places, good restaurants and bars), this is the right place. Our stay at Downtown Accommodation was just for one night before we headed back to the states but it was very nice. Lorenzo and his father are very nice people and super accommodating. Lorenzo texted me the day before we arrived to ask when we were going to be arriving, came running down the stairs to help us with our bags when we arrived, and his father was waiting at the door to shake my brother's hand and give us a water bottle. Lorenzo mailed our postcards for us too. Would highly recommend! The staff were all very nice and accommodating. We were given breakfast served to our room every morning which was covenient. The only issue we had is that the wifi was spotty and air conditioning was not included in the base price. I highly recommend this place for people who don’t want to pay a lot of money, but want to be in a great location. Only a 5 minute walk to the colosseum.